Braille code has helped countless people living with vision loss access knowledge for nearly 200 years. Without the 64 character reading and writing system, it’s hard to say how blind people would have fared in life; although, one can imagine not all that well. Today, computers and software open the doors to education for those experiencing vision loss; begging the question, is the raised dot matrix still required? 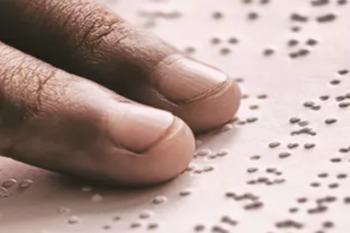 Researchers at the University of Birmingham’s Vision Impairment Centre for Teaching and Research (VICTAR), say that technology and braille are friends, not foes. Assistive technology can help you navigate life with greater ease, please contact SDCB to learn how we can help.